Find a vacation home to rent in Capannori from our list of vacation rental properties. Campaya has over 32 vacation homes available in Capannori, which give you the possibility to locate a unique accommodation in Capannori which completes your check-list in search for the perfect self catering vacation apartments in Capannori or vacation villas in Capannori. Near Lucca you can stay in this apartment in a two- family holiday home, overlooking the countryside and the hills. Characteristic small cottage set in the hills near Lucca. Enjoy from the garden the views of the countryside and the plains. Quiet location. Outdoor area and equipped courtyard. This beautiful old farmhouse has been completely restored and divided into four lovely apartments, each on 2 floors with a private entrance. This two-family house on 3 levels (ground, 1st and 2nd floor) is set in an old renovated stone building. Pleasant, restored outbuilding set in the countryside, 500 m from a small village (food shop). Views over the countryside. 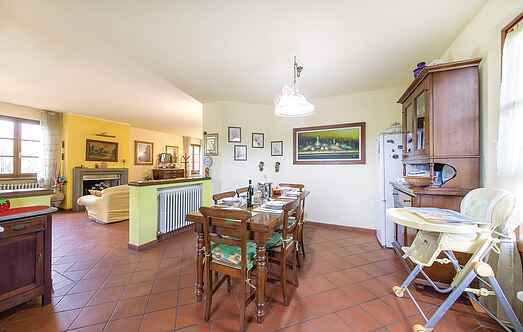 This beautiful detached holiday home in Colle di Compito, a district of the municipality of Capannori, is surrounded by a large garden with barbecue, table and chairs for outdoor dining. 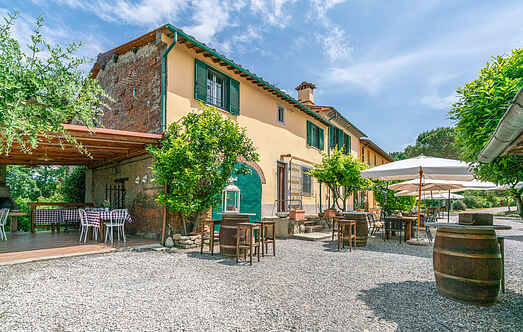 A traditional independent apartment near to Lucca, with a large private garden and only 1km away to the nearest restaurant.